1. You call or submit an on-line request form to schedule your pickup. 2. Place your order into a regular bag. 3. 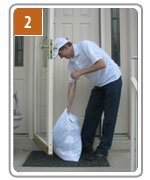 We will pick-up the wet-cleaning bag at your door during our working hours. 4. 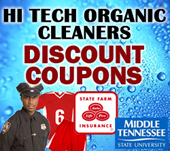 Your order is wet-cleaned and pressed by an experienced staff. 5. We will return your order within 3 business days – we will inform you what day. 6. 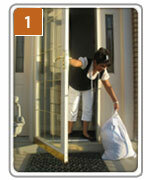 At time of delivery, we will provide you with another bag and pick-up your next order. 7. You may pay with a credit card or cash at the door. Applications for customer registration including credit card information are turned in with your first order.